After the long wait, Yes ! 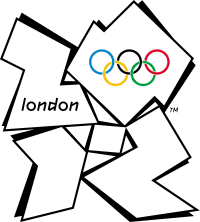 Its back, The London Olympics 2012, which are seriously not to be missed out, but what if you are not sticked to your televisions or are out of some work ? Here are the few alternatives, to Watch London Olympics 2012 Live Online on your Laptops, Desktops ! 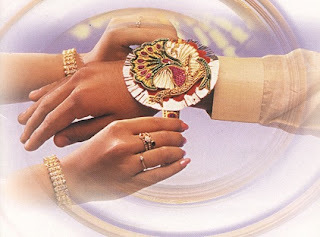 Here are some Good Raksha Bandhan Wishes, Quotes, Lines, Wall papers, which you can post on social networks, or send as sms. I can't recall even a single day when you were absent from my life. Hey didi you are the best. Are you looking for some smartphone, within 10k ? How about, getting an iPhone at just Rs.9999 ? 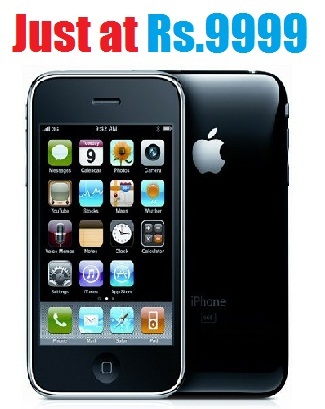 Yes Yes, We're talking about the Apple iPhone 3GS at just Rs.9999. Aircel is offering the Apple iPhone 3GS at an unbelievable price of Rs. 9999 Only. This deal is applicable for Postpaid customers only. The customers who need this offer, will have to pay an Rental of Rs.3000 in Advance, in addition to phone's cost, which will the user an Unlimited 3G data for a year. In 2G Circles, User will get 1000 Local and STD Minutes, 2500 Local and National SMS along with Unlimited data, for 6 Months. Prior to this, Airtel and Aircel Prepaid availed such offer at Rs.19,999 ! The last few years have brought some immense change into technology. Some years back, we used to speak in terms of KBs or MBs but now its all in GB's and TB's.With this gigantic change, the risk of the data loss has also abruptly being increasing. Due to many reasons like Disk Corruption, Power failure, Virus attacks etc, Some important data are lost, which are really very hectic for the users. How about some tool, which can help you in recovering those lost data as it as, Sounds cool, isn't it ? Stellar Data Recovery, is an customer oriented data recovery solution which is focused to recover and repair inaccessible files, photos, databases, emails and videos. The Data Safety & Erasure tools help you secure your information and wipe confidential files, preventing data leakage. Official website Says "Our mission is to keep developing powerful, advance, yet simple tools for data & password recovery, repair, maintenance, erasure and secure backups. Our services division in Asia and Europe ensure fast, efficient & secure data recovery (upto 100%) from severely crashed hard drives or damaged storage devices within shortest turnaround time. Our dedicated team of highly experienced R & D engineers work on innovative technology to meet evolving industry challenges"
Data lost due to formatting or corruption of partitions. Recover data from internal and all external storage media. 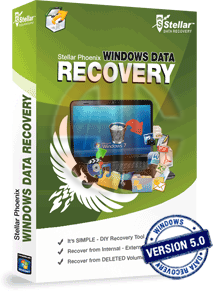 The easy interface of the Stellar Data recovery, helps to recover the deleted or lost data very easily. The Data Recovery tab has three sub option in it. Drive Recovery, CD DVD Recovery, Photo Recovery. Recover from Image tab helps to recover the data, from previously Saved Image of the Recovered list of files. Once you select the type of recovery, you need to select the various methods of recovering the data back. Deleted Recovery : You can recover files that are deleted from a volume or removable media by using deleted file recovery process. The scan result lists only files that are deleted from the selected drive. Advanced Recovery : You can recover data from a formatted volume or removable media by using 'Advanced Recovery' option of Windows Data Recovery. Raw Recovery : Raw recovery allows you to recover data from hard disk, pen drive or volumes of a hard disk. Once any of the recovery methods are selected, the recovering phase of the tool starts, and it scans the drive for the lost files and recovers it. Finally, Select the files which are needed to be recovered back and you get an option as above. Select the required destination and the files will be restored.They can be recovered on local drive, FTP Drive, or even in Zip format. You can use the free version just to scan the drives and lost data, but to recover them, you need to buy any of the paid versions. There are three versions of the Stellar Data Recovery, Home, Professional and Technician with pricing as $49, $99 and $299 respectively. Its AMD India, Who are looking out for their best Indian Fans by The AMD India DiRT Showdown Challenge. What is AMD India ? The AMD India community is for people who share enthusiasm for AMD technology and all that the AMD technology allows you to create/play/enjoy. Our goal is to bring like-minded brand advocates and influencers together to share their experiences and expertise with each other and across their social networks. Read real-life stories from AMD customers from all over India about how AMD technology is improving their personal high-performance computing experiences. We are excited to work collaboratively with you to inspire your peers to build the best rig, show off your brilliant HD graphics, or just amaze them with performance speeds of your 8-core processor! Content within this Community comes not just from AMD, but also from the many community members – people just like you that are looking to share their passion for awesome gaming experiences, and all things AMD. Within this community, you will find everything from outstanding deals on AMD products, free downloads, product reviews on the latest and greatest AMD gear, exclusive industry insights, exciting contests, and much more. What does AMD Expect from You ? Can you Share the AMD posts with your Friends ? Can you contribute to AMD ? Step 3 : Share their Updates at regular Interval. "Remember : "Be Genuine, Be Creative, Be Efficient and AMD will Love that :) "
Android 2.3, Gingerbread OS, 832MHz processor,HSDPA 3.6Mbps with advance Wi-Fi connectivity, 3.2 MP Camera, Internal Memory of 3GB and expandable up to 32GB. The Android Gingerbread with 650MHz processor and comes fitted with a 3.5-inch capacitive touch display and a basic 2 MP camera. The device also got a impressive battery life of 1300 mAh which provides 4.5 hours of talk time. The Spice mobile with 4-inch capacitive touchscreen display, 5 MP autofocus camera with LED flash and VGA front camera. The 3G enabled dual-SIM Android Gingerbread phone is upgradable to Android 4.0 Ice Cream Sandwich. The device is powered by a 1 GHz processor and offers Bluetooth, Wi-Fi, and USB connectivity. Also included are A-GPS and is expandable upto 32GB memory. This HTC Device Runs on Android 2.3.5 OS with a 600MHz processor under the hood. It has 3.2-inch HVGA touchscreen and a basic 3MP Camera. Battery life of 1230 mAh and a 512MB of RAM, with 3G, WiFi, Bluetooth and easy sharing of pics on Social Networking.